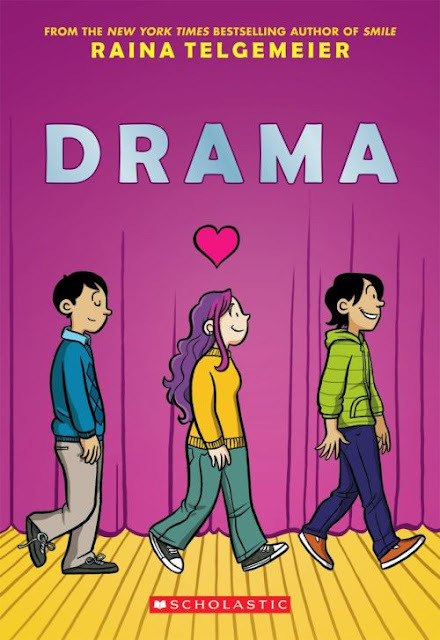 211 Bernard: Raina Telgemeier TODAY! 3pm! Oh man, we're super excited for this! 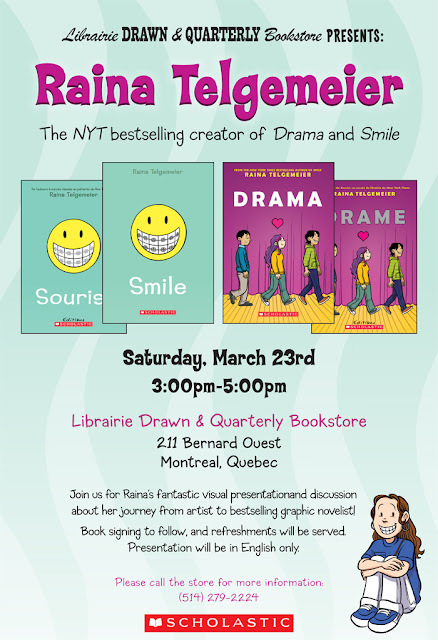 The amazing Raina Telgemeier will be here at the Librairie D&Q, tomorrow, Saturday, March 23rd, to give a presentation and discussion on her work and how hard work and a love of drawing and storytelling led to her current status as an award-winning, best-selling graphic artist! 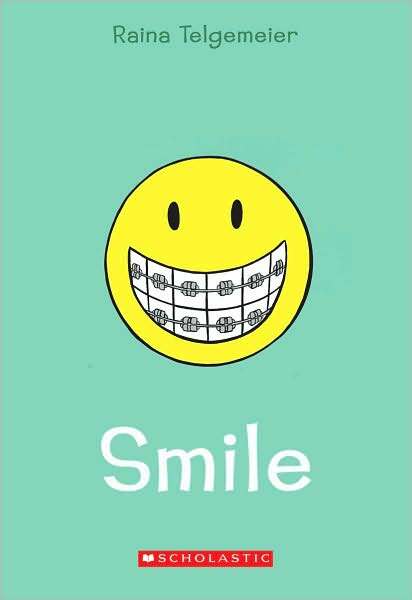 Just last year I picked up a copy of her book Smile as a gift for my (then) eight-year old daughter who, after reading it two times in a row, informed me that it "was the best book she'd ever read" Flash to a couple weeks later and the book spread like wildfire through her class at school, all of her friends and classmates loving this auto-biographical story a girl who tripped and knocked out her two front teeth. 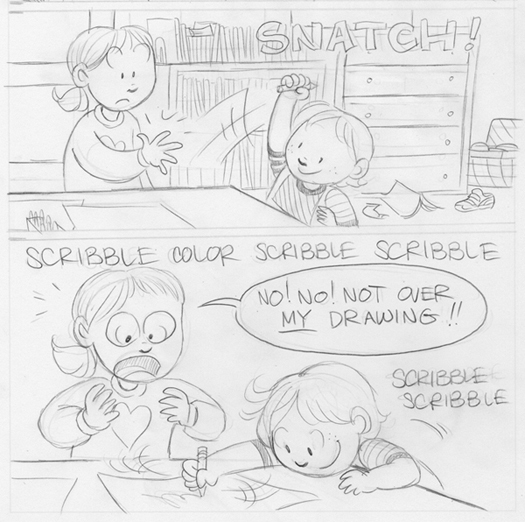 Naturally, they wanted more and luckily there was Drama! And they ate that one up as well! So, mark your calendars: Saturday, March 23rd. Refreshments will be served, books will be signed and the presentation will start at 3pm! Children of parents and parents of children, please, make sure you don't miss this chance to enjoy an afternoon with Raina Telgemeier!